Who says businesses won’t open on Bay Avenue until we fix the flooding problem? Apparently we are attracting “new” businesses.. First there was the Highlands Pancake House. 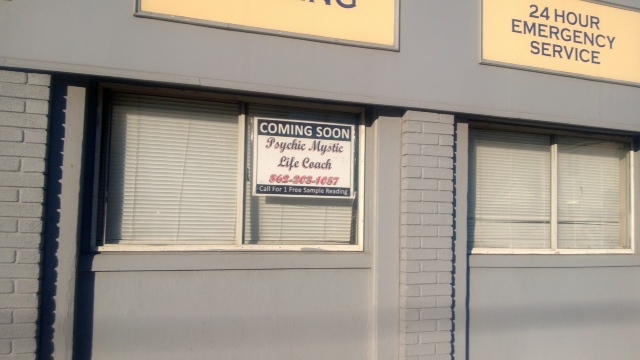 Now we have a new “Psychic Mystic and Life Coach” opening right on Bay Avenue. And really, would they of all people, rent in a flood zone if another hurricane was coming? I mean, they’re psychic, they would know right? Your posts give a much needed laugh!! Thank you! Highlands wont flood every year. So if a new biz can get a cople good years of profit so be it. The town does not need to go to waste.